Protect your barrel investment or add on a cool accessory. 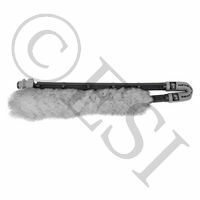 We carry cases, cleaners, sleeves, squeegees and more to go with your paintball barrel. Barrel sleeves are one of the most important saftey devices you can buy. If you paintball gun misfires, it makes sure the paintball does not come out. Break a paintball in the barrel? Always keep a squeegee on hand to clean it up.